Last week’s Avengers: Endgame trailer remains the subject of heavy scrutiny from the fans, who’ve now looked closely enough at the latest footage to find some subtle clues about next month’s release. Over the weekend, for instance, MCU Cosmic’s Jeremy Conrad shared an image from the recent preview of Black Widow and Hawkeye together in a dimly lit room. Alongside this image, Conrad placed a shot of the late Gamora and Star-Lord together in the Benatar, and looking at the two scenes side by side, it certainly looks like they’re taking place in the same location. From here, the implication could be that Tony Stark and Nebula will return to Earth in the ship, before picking up the rest of the Avengers and jetting off to their next destination. 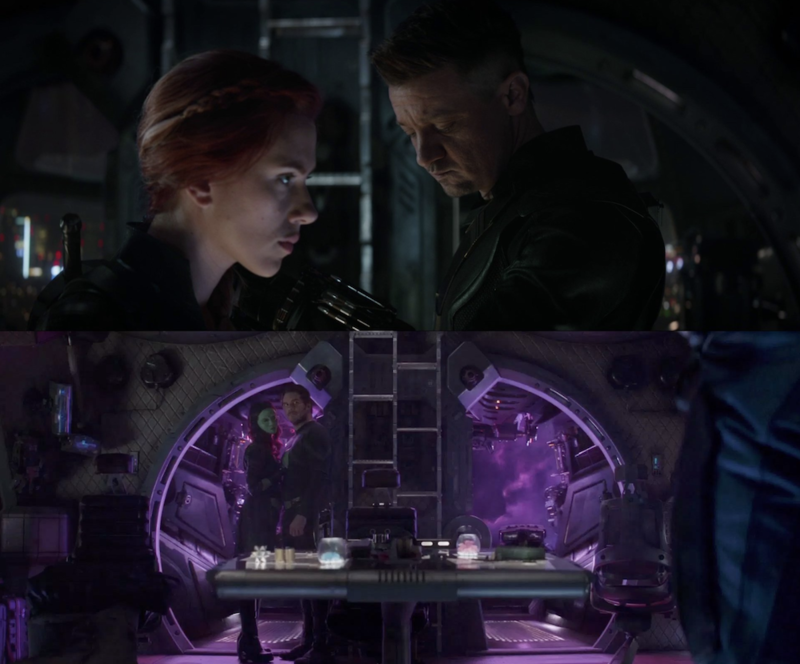 But while it may seem like Natasha Romanoff and Clint Barton are in the spacecraft once flown by the Guardians of the Galaxy, it’s worth noting that Marvel has a history of altering their trailer footage to throw off the fans, and have even changed the backdrops of scenes on more than one occasion. With that in mind, it may well be a mistake to believe our own eyes, but assuming the trailer footage is unaltered, that still leaves us with many questions about Tony and Nebula’s journey back. Specifically, in the Endgame trailer scenes of Iron Man, it looks like the Benatar is going nowhere fast, suggesting that either the ship is eventually repaired, or the scene of Tony trapped on the vessel is actually taken from later in the film. In short, there’s still much we don’t know about Avengers: Endgame, and you can expect the speculation to continue until the movie hits theaters on April 26th.